We had a fun day recently on a visit to the zoo. 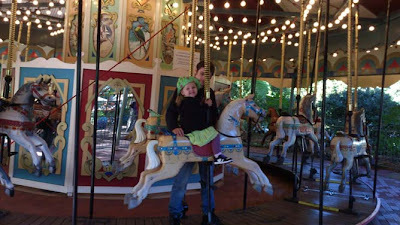 E was very excited to get a ride on the carosel. She said her favourite animal of the day was the zebras and she also liked the ibis. 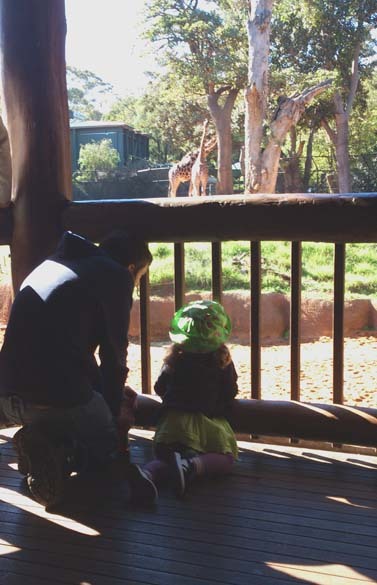 She did spend a lot of time watching those zebras. 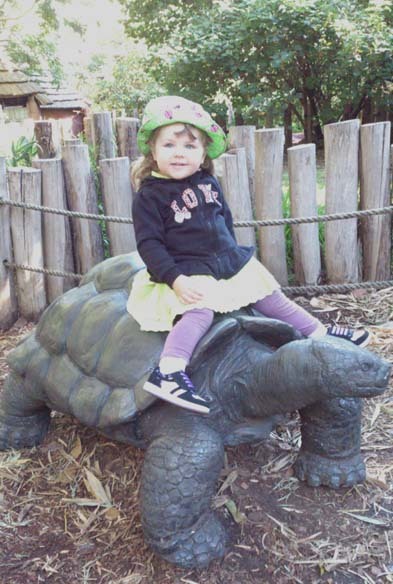 There's something about these tortoise sculptures... kids just have to sit on them. E also liked watching the (real) tortoise eating a flower. We had lovely weather for wandering around the zoo. The gardens there are nice and we had fun spotting different fungi. I was also happy to catch up with a couple of friends who work there.